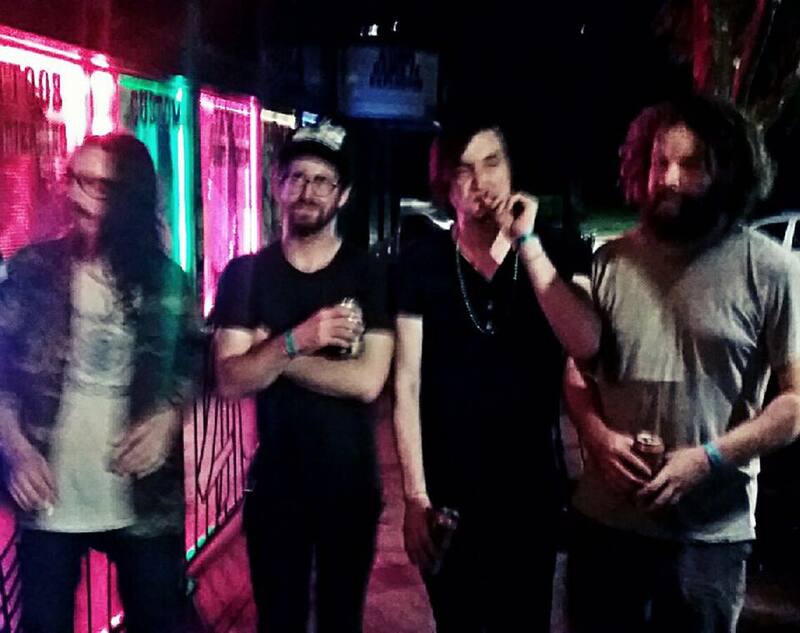 Over the past ten years or so, psychedelic rock has slowly itched it’s way into the mainstream. With bands like Tame Impala releasing one of the best mainstream rock albums of 2015, it’s obvious the masses have become far more welcoming to the genre since it’s renaissance in the early 2000s. It’s a style of music that requires tremendous amounts of creative freedom and some major labels aren’t willing to take the risk by pushing acts that delve too deep into experimentation. This is where independent labels take full advantage of the movement and release music from artists who exactly fit in among the standard conventions of radio-friendly singles. Earlier this year, the vinyl-only Knoxville based label Fat Elvis Records put out a double A sided 7″ from the Atlanta natives, Reverends. As superficial as it may sound, I picked it up based on the trippy psychedelic art work by Darren Grealish and the vibrant limited edition color variants. Despite never hearing of the band beforehand, it became one of my favorite singles of the year with it’s droning guitars and reverb heavy vocals. It was interesting enough to pre-order their full length debut Derealization Blues just a few months later, becoming one of my most anticipated releases. 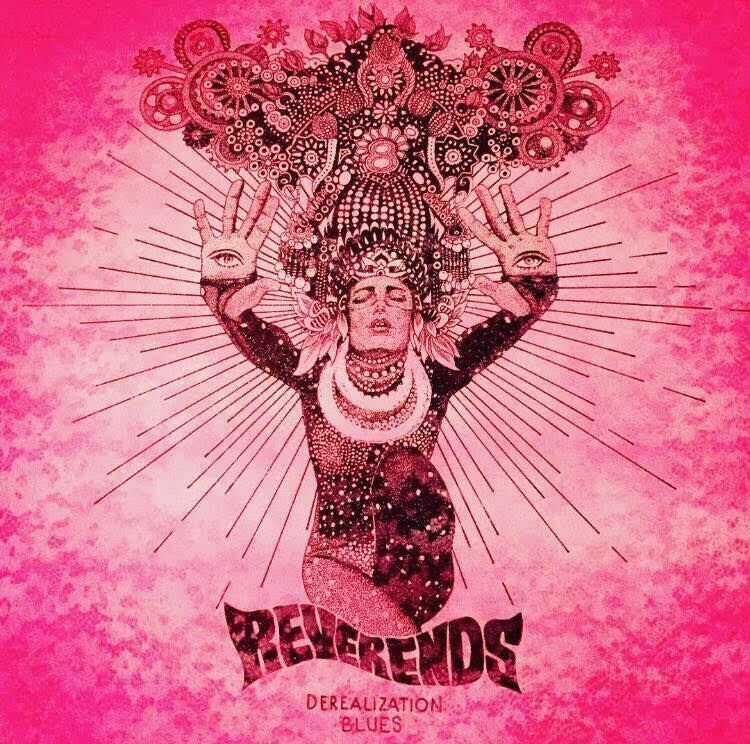 Derealization Blues delivers exactly what that single promised within the first minute of it’s opening track “You Don’t Want To Know”. Distorted static drones, power chords driven through psychedelic auto-wah effects, and reverb laced vocals, starting the listener on their journey of the seductive unknown. At a relatively short seven songs, Reverends manage to showcase a certain familiarity with it’s influences, like the Jesus & Mary Chain flavored “Witch City” and “SomeHighSun” with it’s grinding static and shoegaze pace. They channel some Dolly Rocker Movement on my favorite track on the album “Wakin’ Up”, and maybe even a hint of Black Angels in “The Local Honey”. The near seven minute “$70” is a fever dream of ominous debauchery while the title track is an unexpected melancholy love song that’s both heartbreaking and delicate. Even at it’s most familiar, the record never feels like a shallow cash-in, but a worthy contender in the psychedelic revival. Each song is an open and closed tale that acts as a sampler to the beautiful and the macabre. Where Derealization Blues truly excels is found in it’s execution. Everything is dirty and lo-fi without being heavy handed or pretentious. There’s plenty of distortion and grit but the kind that can’t be found with a multi-million dollar producer in a Los Angeles high rise.There’s nuance and subtle hints of imperfection not found on major releases. The distinctive production sounds as if the album was recorded guerilla style in a living room, before finding it’s way into the hands of the two indie labels releasing it. Derealization Blues is a joint release from the aforementioned Fat Elvis Records and the eclectic Colorado based Fonoflo Records. The coming together of these labels seems fit the vibe of this album perfectly. Reverends’ lo-fi do-it-yourself mentality is not unlike other releases from the label like American Goon and Fantastic Negrito, while the art-meets-heart sentimentalism found on Fonoflo releases such as last year’s Riverhorse, gives the physical release some grounding with it’s art direction. 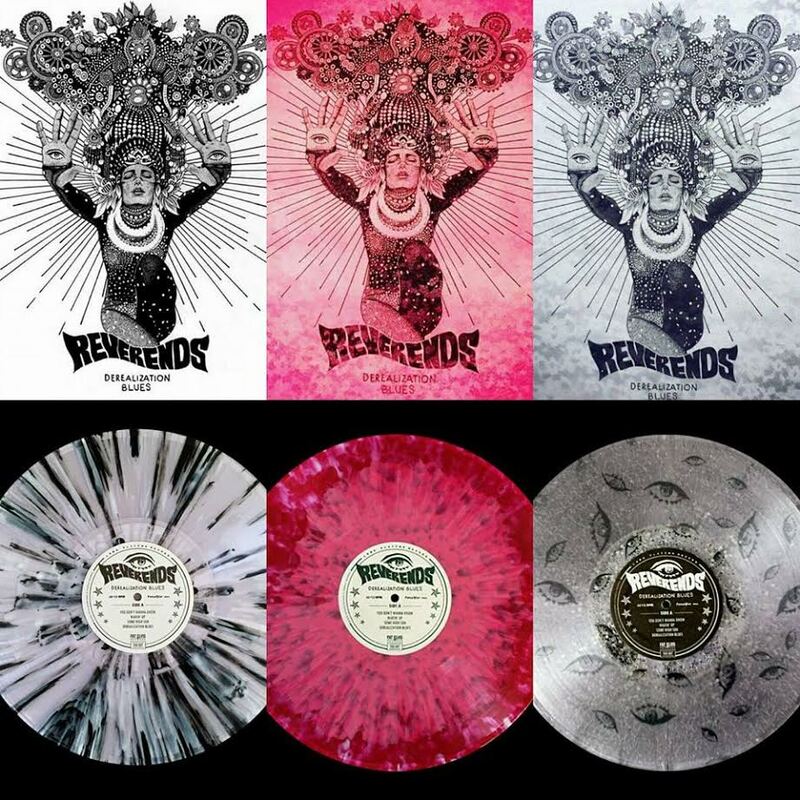 In addition to a standard clean white and black and white splatter variants, both labels are offering the album in a limited number of special variants such as ‘Brain Matter Splatter’, and an super cool clear record filled with glitter and floating eyes, that will make a perfect display piece in any audiophile’s collection. Derealization Blues makes good on my expectations based on the single earlier this year. Featuring the temptation of mysterious uncertainty, while delivering some unexpected vulnerability in quite a few of the songs. If I only had one complaint it would be in the overall length of the record. At only seven songs (nine counting the bonus tracks found in the digital version) it feels like it’s just getting started before ending abruptly. However if an album leaves you wanting more, is it really such a bad thing?